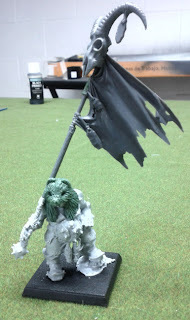 Boris is the Battle Standard Bearer. On his head, he wears what is left of the human tsar's beloved bear mount. Really looking forward to painting this guy. 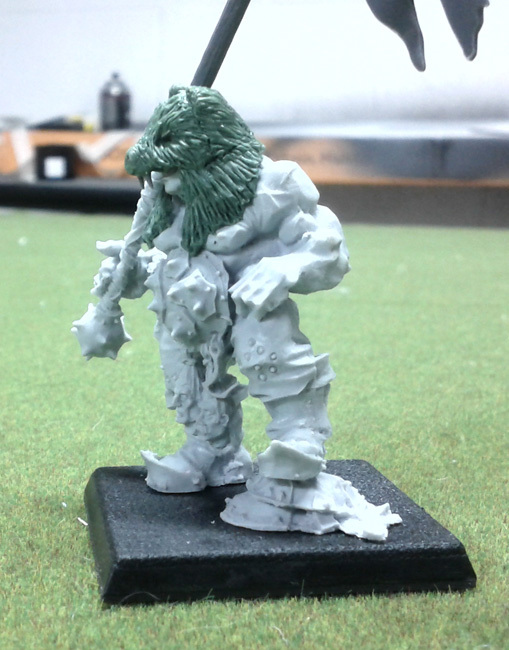 For me, he sort of sets the tone for the whole army... he may just end up getting painted first. This ogre army has a really fun theme, I'm really enjoying seeing the progress. Awesome work on the bear head. I really love that model an ev you made it even better!